Thanks to Kev H for bringing this bike to our attention. It's for sale on UK eBay. 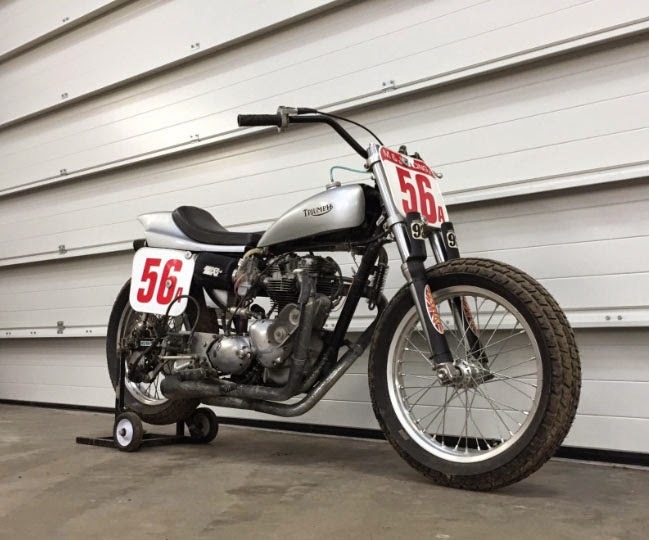 Don't know anything about the history of this bike, so this is not an endorsement, we're just sharing the link. From the description it has all the trick parts on it. 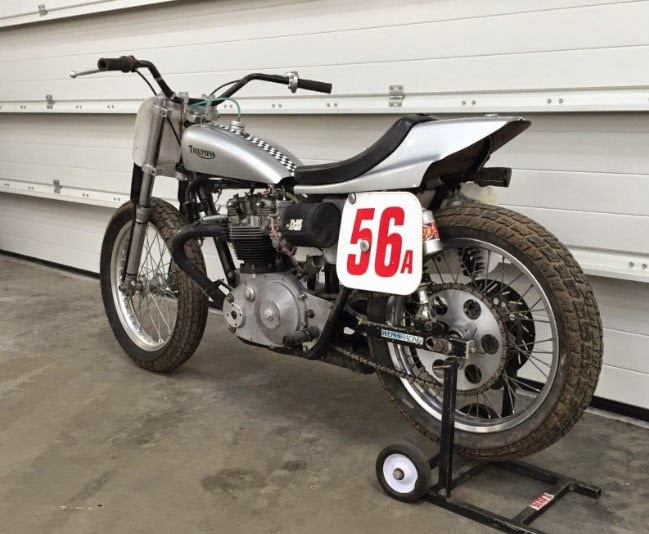 The Dirt Track Riders Association runs a vintage class for bikes just like this and it's going to be exciting and stylish class this year, with six rounds and additional practice sessions. Annoyingly, there is a secret reserve not listed, so who knows how much the owner expects it to fetch.